Francesca's, 1631 Sherman Ave. The store will be closing its Evanston location on Nov. 3. The Francesca’s boutique in downtown Evanston will close its doors early next month. The location at 1631 Sherman Ave. opened years ago, and has been a vibrant presence downtown for both locals and Northwestern students. Caitlin Heinen, the district manager for 16 of the store’s Chicago locations, said the decision to close the store in the Evanston area was made quickly. The store had been underperforming in terms of sales, she said, and its lease was ending this year, so closing was the next logical step. Francesca’s is a chain boutique that sells clothing, accessories and home goods. The first store was opened in Houston, Texas in 1999, and the brand now has over 700 stores in 48 states across the nation. There are 31 Francesca’s stores in the general Chicago area alone. Soon, however , the Evanston spot will no longer be one of them. To celebrate their final weeks in business, Francesca’s Evanston location is having a clearance sale. All the products in the store are marked at 75 percent off, and the items are disappearing quickly. The sale began Oct. 20 and will continue until the store runs out of merchandise or closes its doors in November. Heinen said students and locals should try to get to the store sooner rather than later, since items are selling quickly and “it feels like the whole store is already gone,” she said. Ellie Wittmer, a Francesca’s retail employee who has been working at the Evanston location since March, said the sale has drawn an impressive crowd. Weinberg sophomore Rachel Fishman went to the sale on Oct. 21 and said she is sad that the Evanston store is closing. 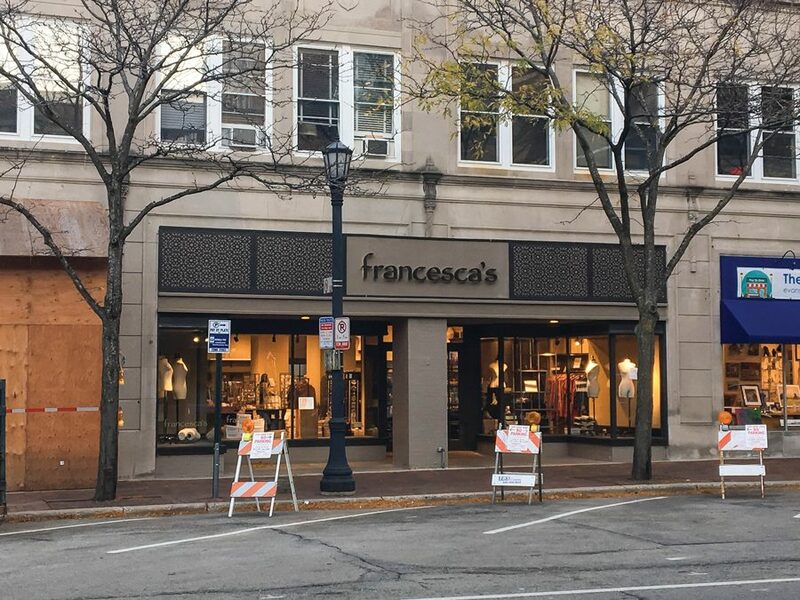 It is unclear whether Francesca’s will return to Evanston in the years to come, but Heinen emphasized that their neighboring locations in Chicago aren’t far. For the foreseeable future, Evanston students and locals will have to look elsewhere to get their Francesca’s fix.